Udaipur : Bollywood actor Irrfan Khan is finally back to work; the star is in Udaipur where the first leg of the Hindi Medium sequel is being shot. According to report, the film has been named Angrezi Medium and it will be directed by Homi Adajania. Trade analyst Taran Adarsh shared the news on social media. 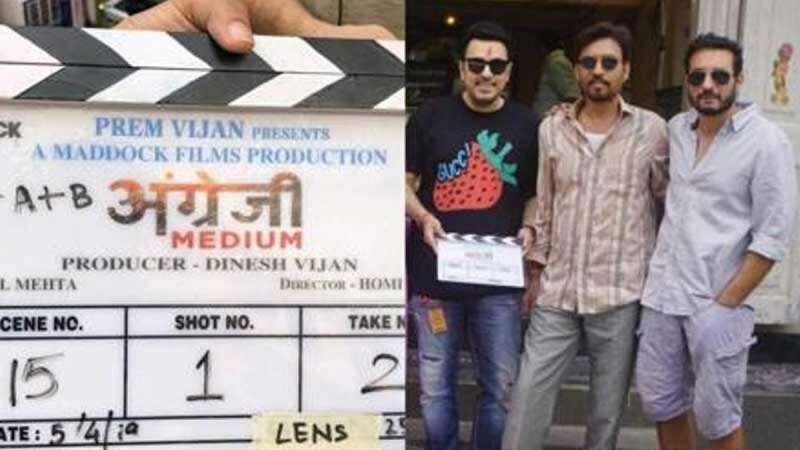 He wrote, "Irrfan Khan resumes work… #AngreziMedium shooting begins in #Udaipur today [5 April 2019]… Directed by Homi Adajania… Produced by Dinesh Vijan… Will be shot in #Udaipur and #London… #AngreziMedium is the sequel to the smash hit #HindiMedium, but with a new story." Irrfan Khan resumes work... #AngreziMedium shooting begins in #Udaipur today [5 April 2019]... Directed by Homi Adajania... Produced by Dinesh Vijan... Will be shot in #Udaipur and #London... #AngreziMedium is the sequel to the smash hit #HindiMedium, but with a new story. A couple of days back Irrfan Khan had thanked his fans for their continuous support as he was fighting with cancer in New York. He had written, "Maybe somewhere in the pursuit of winning, we forget how much it means to be loved. In our vulnerability, we are reminded. As I leave my footprints onto these steps of my life, I want to pause to be grateful for receiving your immense love and support, it soothed me in my process of healing. So I travel back you, thanking you from the bottom of my heart." Kareena Kapoor Khan and Radhika Madan will join Irrfan Khan later in Udaipur for the shooting of Angrezi Medium.